This past week was a good one. The rains stayed away for the most part, the skies were sunny, and most important of all some big chinook rolled in just as predicted. 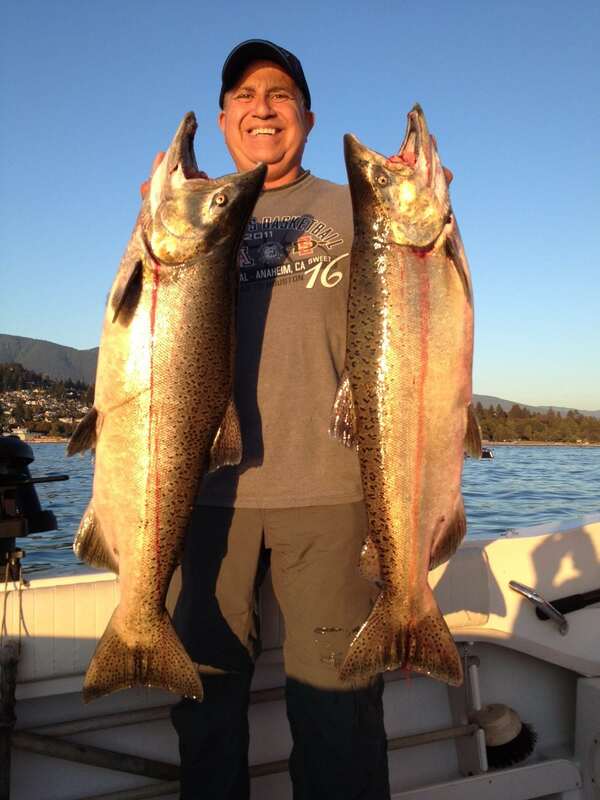 Those who were lucky enough to be down at Sandheads on Saturday enjoyed some epic fishing for big white springs. I wasn’t out that day (was away for a wedding) but the text reports were rolling in with lots of pictures of big fish. The biggest fish I heard of was a 41 pounder, I saw the picture, and yes indeed it was a hog and was easily a tyee on high thirties to low forties! This was the push of big white springs headed for the Harrison and Chilliwack rivers that we were talking about in last weeks report. I took a look at the Albion test set numbers and you can see there was a good push of chinook that weekend. There are still some decent amounts of chinook being caught in the test sets, so it is still worth fishing this area for sure. The chum numbers really sky rocketed the last 4 days as well, so expect to hook some chums while fishing for chinook. The coho numbers are also starting to build. So if you have the time and the weather is good, head to Sandheads for the last of the big chinook, some chums, and some coho. Nice chinook from Sandheads last Saturday. The Cap Mouth has also been good. The rains have stayed away and the run of chinook this year seems to be pretty good for this system. We are having consistent fishing on pretty much every flood tide. The long range forecast looks pretty dry, only a little rain here and there, but not nearly enough to bring the river up to the point where the chinook will go up. So for now it looks like the consistent fishing off the Cap will continue. As mentioned in last weeks report, this is a great time to book a charter. 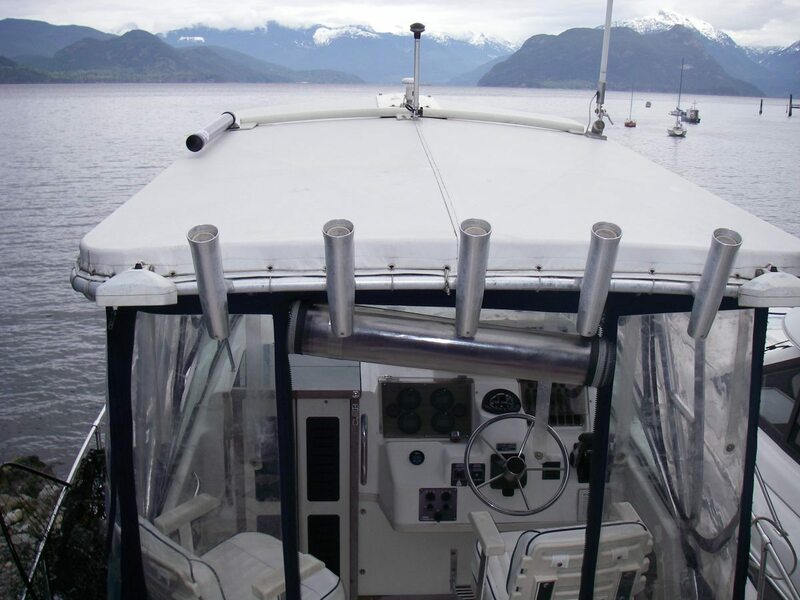 The chinook are only minutes from our dock, the seas are calm, and you can soak up the last of the sun before we head into the rainy season. Tim with two great Cap chinooks. 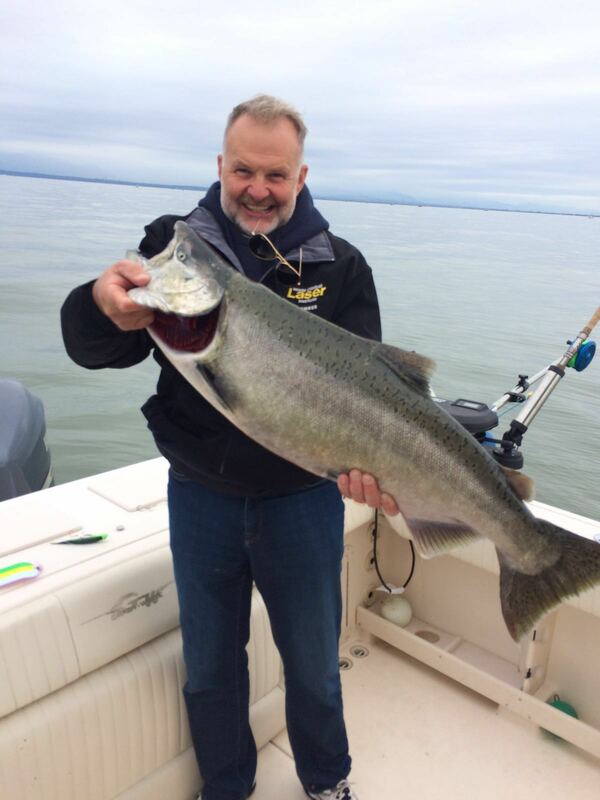 As you can see, its not over yet, in fact the fishing off the Cap looks like it will be good for another few weeks and the Fraser coho are just starting to build up good numbers of Sandheads, so there is lots of good fishing still!